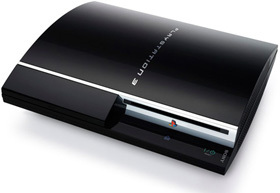 Sony, the creator and manufacturer of Playstation 3, revealed yesterday that the company lost $2.16 billion in 2007, and $1.16 billion in 2008 on the PS3. Sony admits it was a business move that could have “significant negative impact”, especially if the console never reaches expected market penetration. The Sony fiscal 2008 annual report explained to investors that “the large-scale investment required during the development and introductory period of a new gaming platform may not be fully recovered.” That means that while PS3 sales may be up with the help of popular gaming software like Metal Gear Solid 4 (MGS4), the initial start-up costs may never be re-cuped.